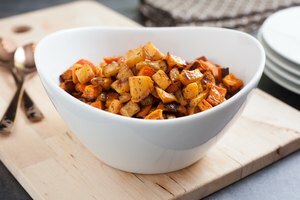 You do not need to roast chestnuts over an open fire to enjoy these fall favorites. Steaming the chestnuts keeps these starchy nuts moist. 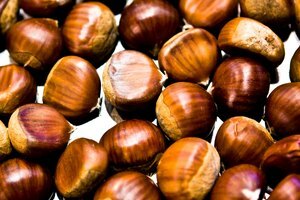 Halving the nuts before cooking makes peeling them easier, but do not allow the chestnuts to cool before peeling them. 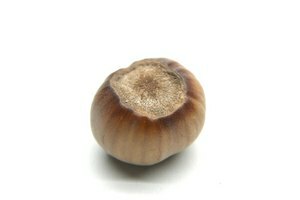 Once cooled, the skin between the nut and the shell will be more difficult to remove from the chestnuts. 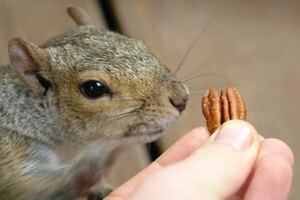 Hold each chestnut in a thick towel to protect your hand. Cut each chestnut in half, lengthwise. Bring a pot with 2 inches of water to a boil. Fill the steamer basket with the chestnuts and lower it into the pot so the steamer is above the boiling water. 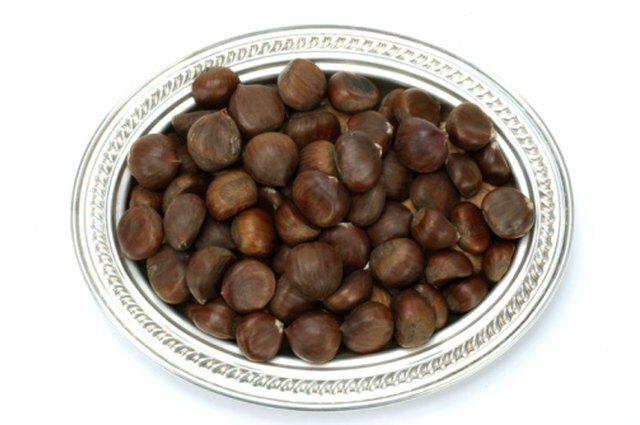 Cover the pot and steam the fresh chestnuts for 15 to 20 minutes or until a knife slips easily into the chestnut meat. Remove the chestnuts from the steamer and cool only until you can handle them; the chestnut should still be hot. Pull the thick brown shell off from around the halved chestnuts. Place the chestnuts in a towel and rub them vigorously to remove any remaining skins stuck to the nuts.